I love interviewing authors for WFW. I think you all know that. Authors like Carla Stewart are the reason why. Today you’ll hear from Carla’s head and her heart on the work and passion of novel writing. A FLYING AFFAIR is her sixth novel. Sixth! I’m in the early stages of novel three and can’t quite think that far ahead, although prolific authors like Carla give me hope that there are readers and a future out there for all of us! Please welcome Carla Stewart to WFW! Carla: Downton Abbey was at the height of its popularity when the idea first came. My editor and agent nudged me to try something different from the fifties and sixties novels I’d been writing. Since I’m a fan of all things British and fascinated in particular with the Roaring Twenties, I decided to go in that direction. 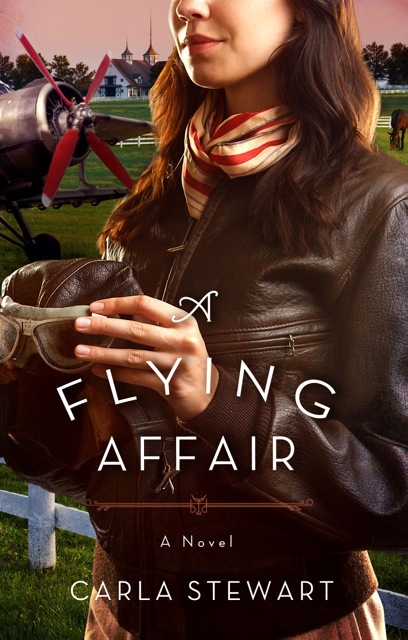 A FLYING AFFAIR was part of a three-book proposal that would spotlight strong, talented women who had to overcome to survive and achieve their dreams. The first book featured a women who was displaced from England to America when her husband died in WWI. It didn’t make the cut and instead became the back story for her daughter Nell in THE HATMAKER’S HEART. For A FLYING AFFAIR, I wanted to contrast the shy British-born Nell (the hat maker) with her free-spirited Kentucky cousin, Mittie Humphreys. Aviation in the twenties was daring and out of the ordinary, so I did some very basic research to see how it would all fit together. Being an aspiring aviatrix was perfect for Mittie. There’s a glimpse of her in THE HATMAKER’S HEART when she takes a joyride in an airplane with a complete stranger. Once I knew what her passion was, the story flowed from there. As for whether I like to fly, yes I do. I took a ride in a small plane as a child. While it didn’t spark any aspirations of becoming a pilot, I enjoyed the view of the earth from the air and still opt for the window seat when flying. I’m quite enthralled with the different perspective as I try to make out what I’m seeing below. Amy: A FLYING AFFAIR is your sixth novel. What would you tell debut author Carla if you could talk to her today? Carla: Relax. What you have to say is important whether the audience is small or world-wide. Falling into the comparison game will strip you of joy and rob your integrity if you let it. The only number that matters is your word count at the end of the day. That said, be alert and flexible. It’s no lie that trends and technology will change and shape the world of publishing. You have to be able to grow and change with them. In doing so, new vistas will be opened to you that you never dreamed possible. Be ready. Cherish those who’ve come alongside your debut novel. Editors. Agents. Readers. Friends. Family. Express your gratitude. Not everyone will like your work or understand why you’ve chosen this path. Ignore them and be diligent on working on your next project. Above all, keep the faith and enjoy the journey. You only get to be a debut author once. Carla: No wall charts or trail of cookie-crumb note cards for me. I’ve tried Scrivener (twice!) and found it’s just not organic for me. I guess I’m sort of old-school because I prefer a yellow tablet and pen when I’m brainstorming and plotting. There’s a creative element that’s unleashed with the physical writing of ideas. I’m a note taker and keep every scrap and every scribbled-on napkin in a manila folder when I’m working on a project. I keep separate folders for things that might be useful in other works such as British slang, twenties slang, etc. It can get messy before I’m finished, but later, if an editor has a question, I know where to look. I also bookmark websites and make folders in my browser’s toolbar feature for each book or topic so I can find them with a couple of clicks. I do have several Excel spreadsheet templates that I use early on. Character charts. Name charts. Basic 3-Act structure charts. I print out the name and character charts and generally make changes to them in pencil as I’m writing and want to change eye color or a nickname or whatever is needed. Being a very visual person, I love Pinterest. I usually start with a secret board and pin anything remotely related to my book idea. What I love about that is that while I’m writing, I can click on an image and go to the website where it originated. It’s great for crafting description or giving me context for the scene I’m writing. My publisher has collaborated with me on private boards for cover ideas. I make my book boards public a few months before pub date. Pinterest has been a good branding tool as well. When my nostalgic and historical boards resonate with followers, I have new potential readers for my novels. I’m learning more about marketing via Pinterest, but like most social media, it can be a time sucker so I have to be careful. I keep my Webster’s 11th Collegiate dictionary handy as it gives the date of origin for words (important for historical fiction) and I rely on my Flip Dictionary in place of a thesaurus. Carla: Hmmm, that’s an interesting question. I do always have my readers in mind as I’m writing hoping to engage them in a fresh way. As for the takeaway, I’m not sure since that often changes from what I thought originally. While I do a lot of plotting, I have found that character development and the emotional journey which leads to the takeaway can’t necessarily be forced by my will. I am right there with the characters—loving, grieving, struggling, hoping. So I guess, in a sense they are teaching and influencing me in a similar way that they would affect readers. I’ve always felt that my pact with my readers was to deliver them an honest story with the raw edges exposed, but by the last page, I want hope to settle on the horizon. Carla: Two quick bits: First, don’t be afraid of being unique. That spark that is a tad different from all the other works out there may be just the thing to catch the eye of an editor. Being unique isn’t the same as bending the writing rules or careless writing, but letting your unique voice shine in your work. And no strange fonts, please. The other thing, and something I struggle with, is going deep into the emotional well. Giving readers a roller-coaster of emotions is what makes your story resonate and stay with them. It’s been said over and over—writing is like opening a vein and bleeding onto the page. There’s a reason for this timeless adage: It’s what makes great writing, especially women’s fiction, stand apart. Don’t shy away from mining those tender spots in your own heart, and your stories will be better for it. Amy, thank you so much for having me! I appreciate all you do to promote women’s fiction and those who write it. As one of my characters once said, “You’re the gnat’s whistle!” Such a joy to be here today! Award winning author of six novels, Carla Stewart’s passion for times gone by is reflected in her heart-warming fiction. 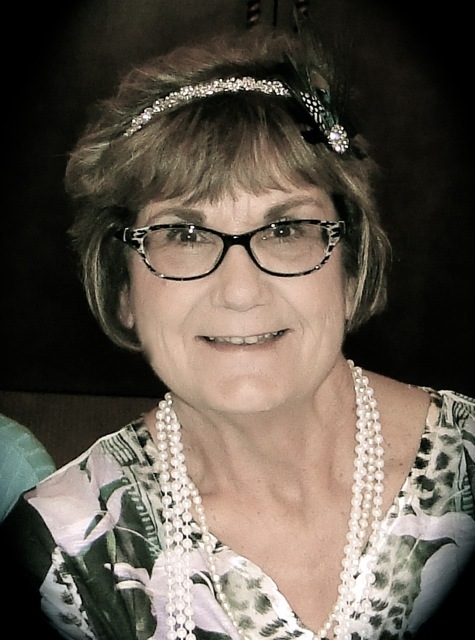 It is her desire to take readers to that familiar place in their hearts called “home.” She and her husband live in Oklahoma where they attempt to keep up with the adventures of their seven rambunctious grandchildren. A Flying Affair, Carla’s her newest release, has been called rich and complex. Daredevil Mittie Humphreys navigates her heart as well as the skies in this beguiling adventure of grit and determination during the rollicking Roaring Twenties. Learn more about Carla and her books at www.carlastewart.com. I really enjoyed this interview–it was so encouraging! Carla, I loved this post–especially where you talk about not comparing your writing to anyone else’s, and the importance of bleeding onto the page. All so true–can’t wait to read this new novel. Congratulations! Always enjoy getting to know a little more about one of my dearest writer friends! Congratulations on another wonderful book, Carla! My favorite quote from this interview: “Falling into the comparison game will strip you of joy and rob your integrity if you let it. The only number that matters is your word count at the end of the day.” This is SO absolutely true! Carla, Your book intrigued me during the WFWA book launch and today I loved this quote: Two quick bits: First, don’t be afraid of being unique. That spark that is a tad different from all the other works out there may be just the thing to catch the eye of an editor. Being unique isn’t the same as bending the writing rules or careless writing, but letting your unique voice shine in your work. Carla, your advice is wise and useful. I was going to remark on the particular wisdom of not comparing your work to the work of others, but previous commenters have already pointed that out, so I’d like to stress the equal importance of recognizing “What you have to say is important whether the audience is small or world-wide.” As writers, our goal is to communicate, and the size of the audience doesn’t affect achieving that goal.